Forget What Did: Luncheon is for softies. But...But... The DOCTOR said it was true! WHAT IS THE WORLD COMING TO?! I need to get out more. I'm fascinated by the website of The Flag Institute. "It's just a dead cat's bounce after all the boats rise. Nothing more than a rubber band effect. We're in stagflation, so the misery index is staying high. Might as well sell in May and go away before the summer doldrums. Even taking a random walk would do." 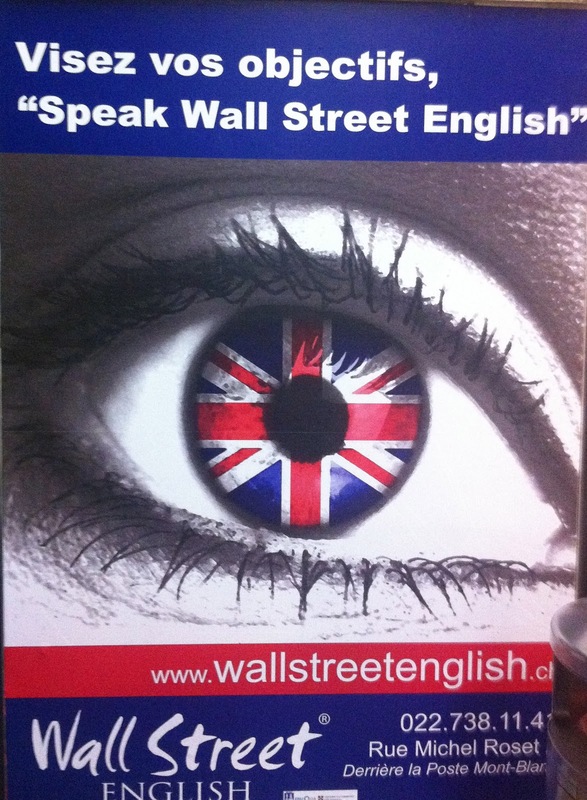 Why on earth would anybody want to talk Wall Street English? Ah, John, your secret is out; you're really Mr Birling, aren't you? This is positively (to coin a phrase) 'Birl-esque'! To be fair, it's only upside down ('most improper', quite, Flag Institute) if you're imagining the flagpole on the left. You could imagine the pole (a small matchstick, say) on the nose side of the iris, and all is well. Inproper to use the Union Jack on chairs and tables etc. Oh dear it's on everything at the moment, still I like it. It makes a change that we're allowed to be proud about being British and two years running too! "The use of any of the national flags to cover a statue, monument or plaque for an unveiling ceremony is discouraged"
Clearly the discouragement doesn't work very well, being as this happens all the time! And it's the teeny tiny demi-rants like this which is why I love stalking your blog! Dear Mr Finnemore, your blog seems to have it all! Humour, Sarcasm, PSAs and Educational information and links to fascinating places such as The Flag Institute. My hat tips off to you! I must be terribly ignorant because I'm an American and have never heard of Wall Street English. Neither has my brother who worked on Wall Street for over 10 years. Of course, I don't watch American television and get most of my entertainment listening to BBC radio shows, particularly those written by or featuring John Fennemore! Mr Finnemore, you are amazing. Nitpicking is fun...such an English hobby, nitpicking. yeah i agree with fiona :) you really are mr Birling arent you??? Pointing to a page which references an unreadable Hansard entry from 1908 is not the same as providing actual proof about it not being the Union Jack except when it's on a boat. Now, stop talking about this stuff and be a good lad and write some more Cabin Pressure, please. Wow. Out of curiosity I just read the page regarding the Union Flag you referred to. I was in the US Navy, and we were required to know all the protocol for properly displaying the National Ensign, but I never considered how many extra rules you'd have in the UK since there are so many additional flags! I guess that was one thing good about serving here. The link is very educational, and surprisingly entertaining: "Bare flagpoles are a sad sight." "Fimbriation of the ordinaries". Now that's a phrase you don't get to use every day. Or on any day...til now. I had never heard of Wall Street (trademark) English before this. Seems they are all over the show; have been for forty years. Weird branding here is what interests me, though: combining an English symbol, okay a British one, with an American name that globally means "business". What, there's no American symbols they could use to tie in with Wall Street. Nothing? Not a well-recognised flag, not a bald eagle in sight, not an outline of a famous, hello Empire State, building...odd. Ah ha, they are saying...forget Blighty, go where the action is: Wall St. Clever. Thanks for the flag link, though. Now I can go to the people in the street who have flagpoles (we have a number) and critique them when they fly a flag at half-mast but too low, or somesuch. And get shouted at for my pedantry. Sigh. Sorry for being off-topic, but what are those ice-cubed-cartoon-frogs doing on the left of the page? Or is it just me? I've googled it, but I can't find out - how long CAN a cat survive in an unheated hold at 30000'? I'm going to Germany in August, and I was wondering if I could smuggle a cat back in my suitcase? Oh my goodness, thank you for making rush hour traffic bearable, almost pleasurable, in fact :) If anyone deserves a Nobel Peace Prize, it's you. Please give my love to Arthur which I'm very fond of. Fiona - Ha! Yes, I just re-read the post in Geoffrey Whitehead's voice, and you're absolutely right, I WAS having a rather Birling day, wasn't I? Douglas - Ah, but the Flag Institute isn't just 'a site', it's an authority. Look it up. Clare - That's an idea... Maybe one day! Mslivin - Gosh, poetry! I'm touched. Thank you. prwelly - Yes, the confusing branding was what I was pointing out. The upside down flag business was just a footnote. mi - I think it's just you. I can't see them, anyway. Christine - Switzerland, actually. Although I was also in France. I don't think I broke it. It just came off in my hand. I.J. - Alas, I don't know. I wouldn't, though. The Frog - If you think 'Captain du Cref' in Qikiqtarjuaq is teasing the French for doing bad accents, I think it's possible you may have slightly misunderstood that part... If you mean Yves in Douz, he speaks English rather well, doesn't he? I passed your message to Arthur, he was pleased. But then, he's always pleased. Rather odd watching Game of Thrones, where Roger Allam parades about being medieval but sounding rather like Douglas. I wish he'd been given some industrial-strength sarcasm to deploy: my fan boy pleasure would know no bounds. I did find this post very informative and entertaining, but that is not why I'm leaving a comment. I just wanted to inform you that you have at least one fan (I know it's more than one, but I can only account for myself) in one South American country that I'd rather not mention due to ... reasons. All the luck and nice things in the world to you, Sir. Hi, John -- Have you seen this? "The 22 rules of storytelling, according to Pixar"
Think I'm printing it out *really big* for reference next time I'm ready to give up writing forever. Ohhhh - brilliant longest analogy on the Now Show! It may be upside down because an eye operating alone will see everything upside down. Evidently there was no brain behind it. Meland - I know the secret to creating fizzy yoghurt. Take one average yoghurt drink. Leave out of the fridge for a month or so. And voila. Fizzy yoghurt. (Caution: liable to explode.) It did not make me popular in the playground. Surely the flag is not upside down, merely mirrored. We are looking at a picture of an eye, reflecting the Union Flag at which the owner is no doubt longingly staring. Secondly, you most certainly *do* call a Union Flag a Union Flag at sea. You don't call a Union Jack (flown from an aptly named jackstaff) a Union Flag. Thirdly. I know it's officially allowed now to use the term "jack" to refer to flags which are definitely not jacks, but just because a mistake was made so much that it became accepted, doesn't make it any less of a mistake, in my petty, pedantic mind. It was actually Rose who said it. this ѕite. Κeep it up! Although you can't go back to any songs, you can skip songs, mark them as ones you like or dislike, and browse the names, bands, and CD the song is on of all the songs that have played already. Yet another way to construct a device to harness energy from radio waves is using an antenna, connected to a series of diodes and a capacitor bank that is earthed. Proffering multifarious benefits to the advertisers, it is a quintessential resort for companies big or small. the T61, the design and appearance declined. not bad, provided you don't yank too hard on the cord. Cons. "What have you Googled lately. A low quality product may lose its shine in a few days or may simply get tarnished due to overuse or after coming in contact with water. Most visitors on a trip to Munnar invariably end up at the Tata Tea Museum and gain some delightful insights into the process of tea making. a far cry: a long way from. There is a rarely discussed addiction that can be as enslaving as drugs and as devastating to self-respect, self-confidence and healthy functioning as alcoholism. your RV, or they can just be easily moved around the house. click on your Ad - Sense ads.